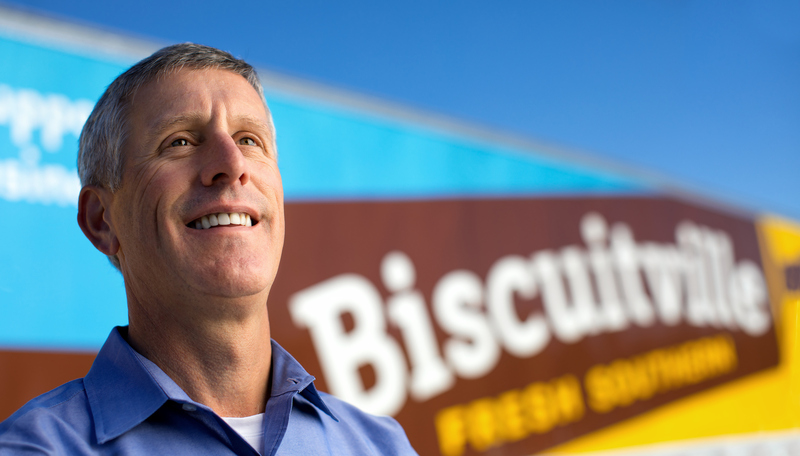 If you want to know what kind of business Biscuitville FRESH SOUTHERN® is, consider this. The region’s most beloved breakfast restaurant has 54 locations in two states, and CEO Burney Jennings is a familiar face in every location. 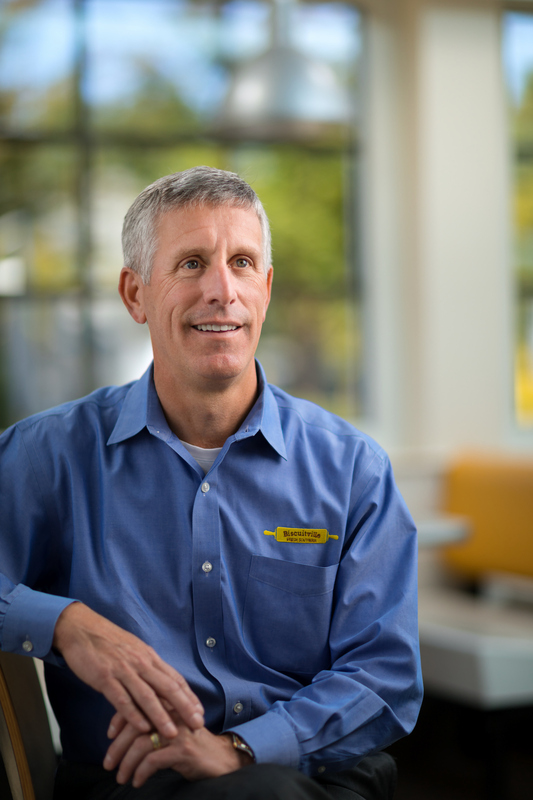 Burney understands the importance of that personal touch in a service industry, where so much loyalty – from customers and employees – depends on quality one-on-one interactions. It’s about people. 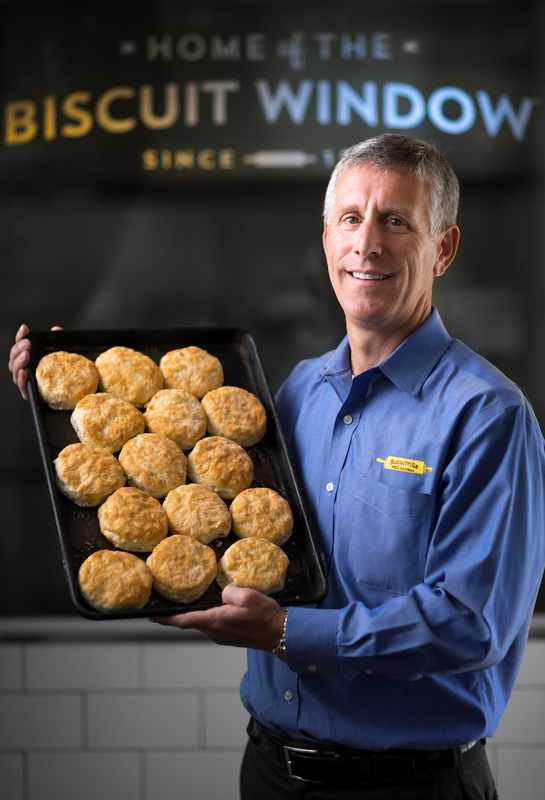 The Elon University graduate has spent two decades at the helm of Biscuitville, but he’s been working there much longer than that. He jokes that his employment date is September 1963 – the same month he was born. Burney’s the second-generation leader of a family business started by his father Maurice more than 50 years ago. Some things at Biscuitville are always going to stay the same. Great-Grandma’s biscuit recipe, for instance. And the restaurants’ 2 p.m. closing time. “Our employees enjoy a Life After 2 culture, whether they are home in the afternoon with family or going to school. That’s an important quality of life value for our employees,” , Burney says. But he will make one exception: once a year, for Breakfast After Dark, where 20 percent of the proceeds for every meal purchased goes to support participating local schools and nonprofit organizations. This year it will be Tue., Oct. 17, from 5-8 pm. Check out the Biscuitville website to see which community organizations your favorite Biscuitville will support.